For more than a decade, cycling has been gaining popularity in Canada as people seek a low impact way to improve their health while reducing their carbon footprint. In 2014, Calgary implemented a new pilot project to provide more and safer cycling corridors within the downtown and across the city. That same year, the Rocky Mountain Legacy Trail was completed connecting Canmore to Banff. This multi-use paved path has become very popular with young and old alike as a great way to experience the mountain parks in an environmentally friendly way. For six days in September, 15 professional cycling teams race through Alberta as they compete in the annual Tour of Alberta. It is a road race that rolls rolling across the prairies and through the foothills and mountains. Many other communities within and near the mountain parks have built and maintain bike trails. 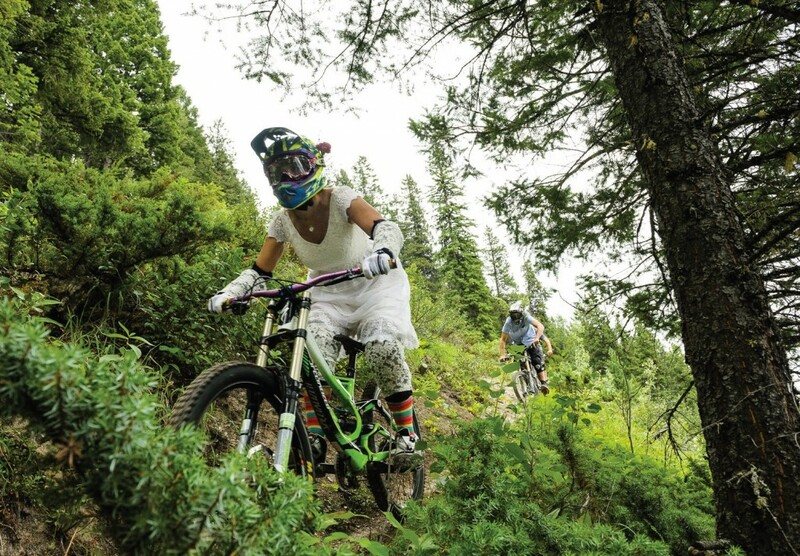 Hinton and area is a bike enthusiast’s dream with 100 km of backcountry trails at their Bike Park. 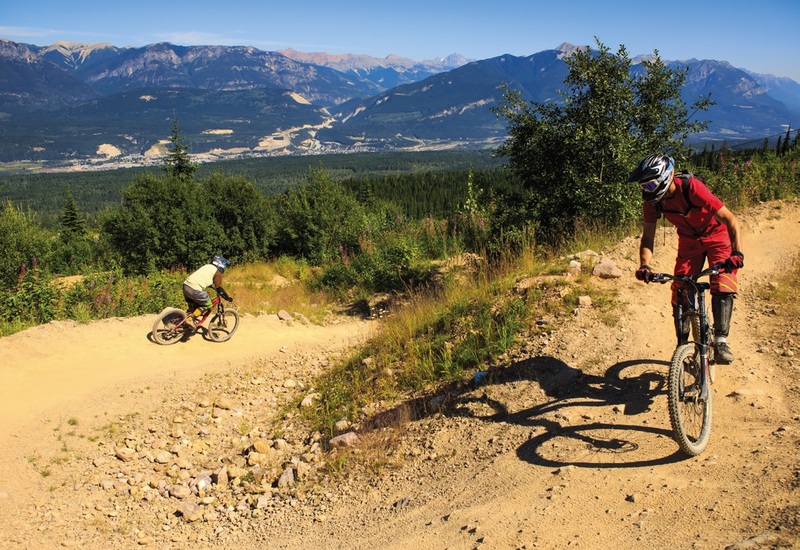 And whether you are in the mood for a scenic cruise, a grueling climb, or some downhill adrenaline, you will find your trail in Kimberley, BC. In July 2014 Golden, BC hosted two legs of the Transrockies Singletrack 6 race. 315 athletes from 18 countries took part in this event that included stops in Revelstoke, Nipika, Invermere and Bragg Creek (Alberta). With over 100 km of single track cross country trails, Golden wholeheartedly welcomes the mountain biking culture. There is something for everyone from easy-to-ride smooth flowing trails to gnarly downhill. After a cushy gondola ride up, get ready for an epic 10 km long downhill at Kicking Horse Mountain Resort. While Mount 7, is one of the most challenging downhill systems in Canada. It was host to Psychosis, an event which evolved into the steepest, longest and fastest downhill mountain bike race in the world. Thinking of a unique mountain wedding? Lisa and Mark Ewan are two mountain biking enthusiasts who live in Calgary but got married in Golden on the top of Mount 7. After a very cute ceremony, two dozen attendees, including the bride and groom, hopped on their trusty bicycles and rode 1200 vertical meters down the mountain! Everyone had a great ride which was followed by a reception at Beaverfoot Lodge.